Prime Minister Stephen Harper says Canada is firm in its commitment to withdraw from Afghanistan in 2011, even as a report from the mission's NATO commander says more resources are needed. Prime Minister Stephen Harper said Canada is firm in its commitment to withdraw from Afghanistan in 2011, even as a report from the mission's NATO commander says more resources are needed in the war-torn country. "I was very clear in my meetings in the United States last week that that remains Canada's plan," said Harper, who was in Guelph, Ont., on Monday at a funding announcement media event. 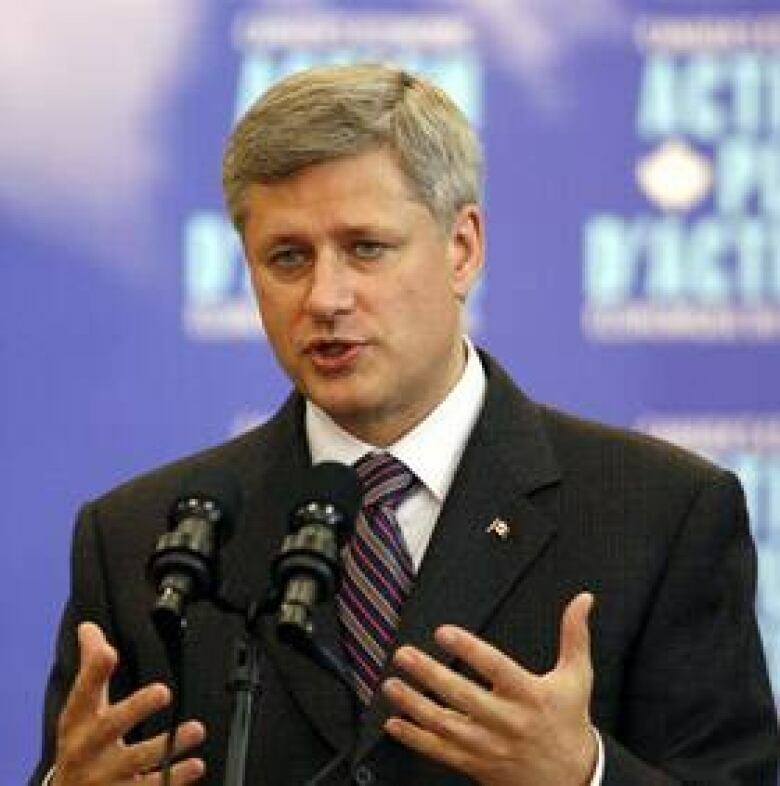 "In 2011, we will have been in Afghanistan almost as long as we were in the two world wars combined," Harper said. "I think in this time frame we've just got to see some results from the Afghan government on the ground as it pertains to their own security." Gen. Stanley McChrystal said in a report posted Sunday on the Washington Post's website that NATO must change its strategy in Afghanistan and add more resources to the fight or risk defeat. The 66-page report was sent to U.S Defence Secretary Robert Gates on Aug. 30. "Resources will not win this war, but under-resourcing could lose it," McChrystal wrote in a five-page summary of the report. "The situation in Afghanistan is serious; neither success nor failure can be taken for granted," McChrystal writes. McChrystal, who commands a 103,000-member force, had been working on the review since U.S. President Barack Obama put him in charge of the war in June. The assessment was requested by Gates after he handpicked McChrystal for the position. Gates had complained the mission lacked focus and resources under the previous commander. 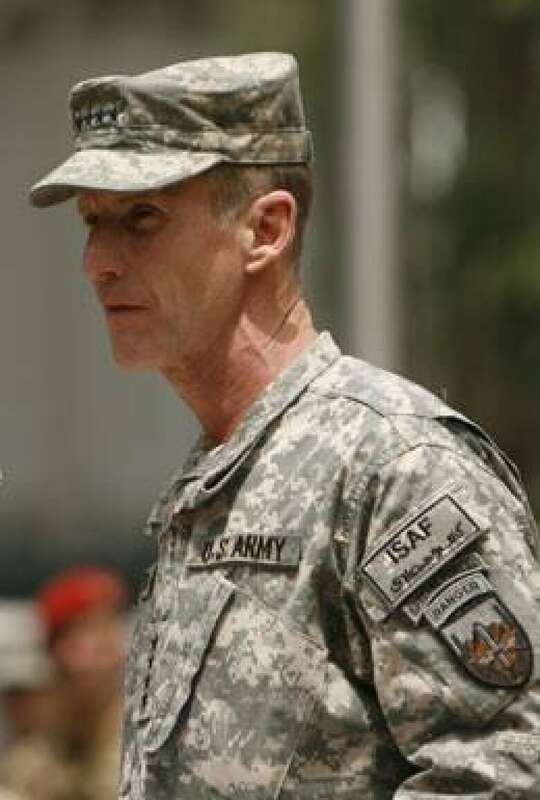 McChrystal commands American and NATO soldiers, including some of the most elite troops in the world: Canada's JTF-2 commandos, U.S. marines and British special forces. More than 2,800 Canadians are serving in Afghanistan under the NATO banner, mostly in the violent southern Kandahar province. Unless the U.S. and its allies gain the initiative and reverse the momentum of the militants within the next year, McChrystal's report says NATO "risks an outcome where defeating the insurgency is no longer possible." McChrystal goes on to warn that a lack of adequate resources could mean a longer conflict, greater casualties, and a loss of support in Afghanistan and NATO's member countries. "Although considerable effort and sacrifice have resulted in some progress, many indicators suggest the overall effort is deteriorating," McChrystal writes in the report. The NATO commander, Gen. Stanley McChrystal, leads a 103,000-member force in Afghanistan. Though parts of the report's contents were known before their publication in the Post, what's new is the "or else" tone to it, said CBC's Kandahar correspondent, James Murray. McChrystal is saying, "if his plan isn't followed, there is a real chance that NATO could lose," Murray said. "He needs more troops to fight a counter-insurgency war very different from a straight up war where you attack." McChrystal states that not only does the mission need additional resources and troops, but that there is an "urgent need" to significantly revise strategy. The Pentagon and the White House are awaiting a separate, more detailed request for additional troops and resources. Adm. Mike Mullen, chairman of the Joint Chiefs of Staff, told Congress last week he was expecting McChrystal's request for additional forces and other resources "in the very near future." Obama has already ordered 21,000 additional U.S. troops to Afghanistan this year. The president is re-evaluating whether the renewed focus on hunting al-Qaeda that he announced just months ago has become blurred and whether more forces will do any good. "I'm not interested in just being in Afghanistan for the sake of being in Afghanistan," Obama said in a TV interview on Sunday. Currently there is a resilience among insurgents in Afghanistan and a crisis of confidence among Afghans — both in their country's government and the international force, McChrystal says. Since taking command, the U.S. general has adjusted the focus of the war effort to protecting the civilian population. NATO must change the way it fights, McChrystal writes, spending less time living on bases and more time among Afghans. Promoting stability in the Afghan government and winning the confidence of civilians is imperative to the success of the mission, he argues. "Preoccupied with protection of our own forces, we have operated in a manner that distances us — physically and psychologically — from the people we seek to protect," he says in the report. Success in Afghanistan may be rooted in "less armour and less distance" between NATO troops and Afghan civilians, he says. "Our objective must be the population." Harper said Canada has been putting more resources toward development and humanitarian aid and less on security as part of the transition out of the country. YOUR VIEW: What would you consider to be a win in Afghanistan?